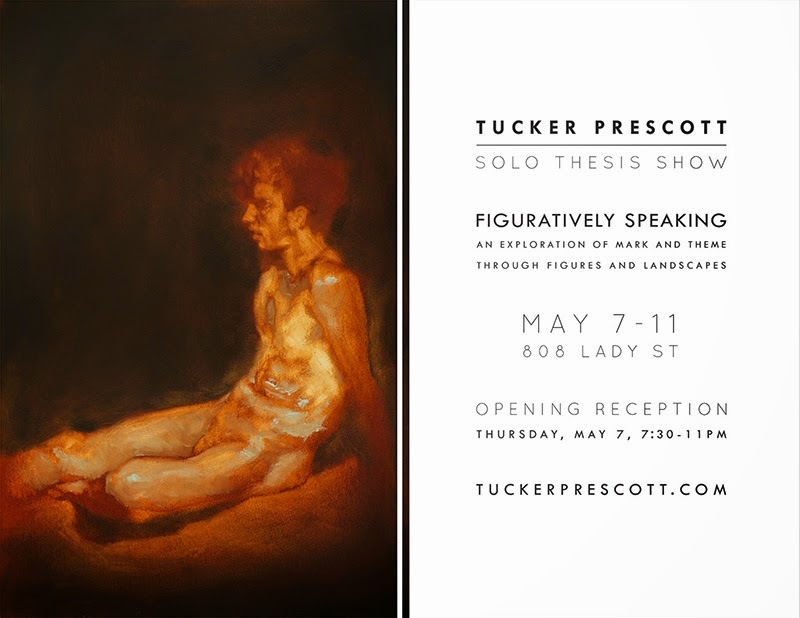 COLUMBIA, S.C. (April 30, 2015)- University of South Carolina Honors College student and Bachelor of Fine Arts in art studio candidate, Tucker Prescott, will open his senior gallery exhibition with a reception from 7:30 p.m. to 11 p.m. Thursday, May 7, at Gallery 80808. Prescott’s thesis project, “Figuratively Speaking,” is an exploration of the relationships that exist between figures and landscapes. 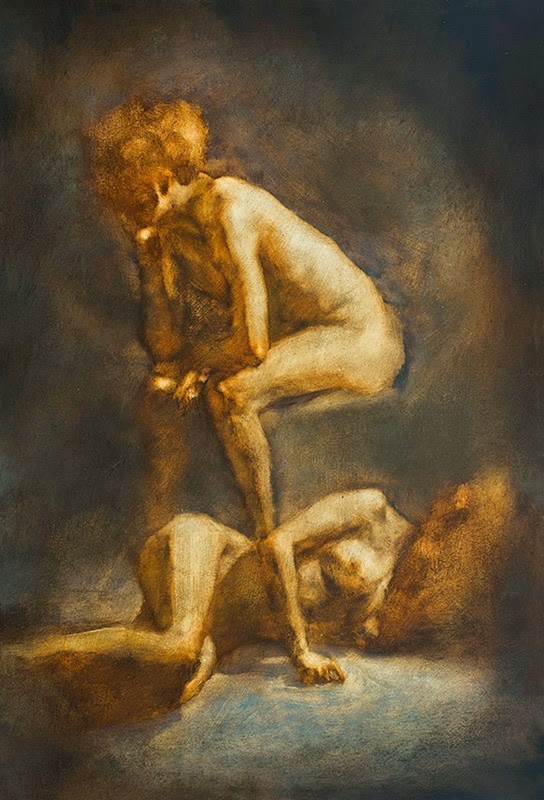 His works vary in size, but scale clearly plays a powerful role in this exploration of space and the human figure. Composed of about 18 pieces, “Figuratively Speaking,” is a collection of works that represent the skills Prescott has developed while studying at the University of South Carolina and abroad at the International Center for the Arts in Monte Castello, Italy. Prescott will graduate with an Honors Bachelor of Fine Arts degree in studio art from USC on May 9, 2015. This exhibition is in partial fulfillment of his honors distinction requirements as well as an incredible opportunity for Prescott to reflect on the works he has produced during his four years of study at USC. While Prescott’s passion lies in painting, he also enjoys film production and editing, and as he prepares for graduation, Prescott continues to work at Mad Monkey, the local film and television boutique, as a pre and post-production specialist. Prescott’s projects in painting, film and photography can be viewed on his website, www.tuckerprescott.com. “Figuratively Speaking,” will be displayed from May 7 to 11 at Gallery 80808 in the Vista. 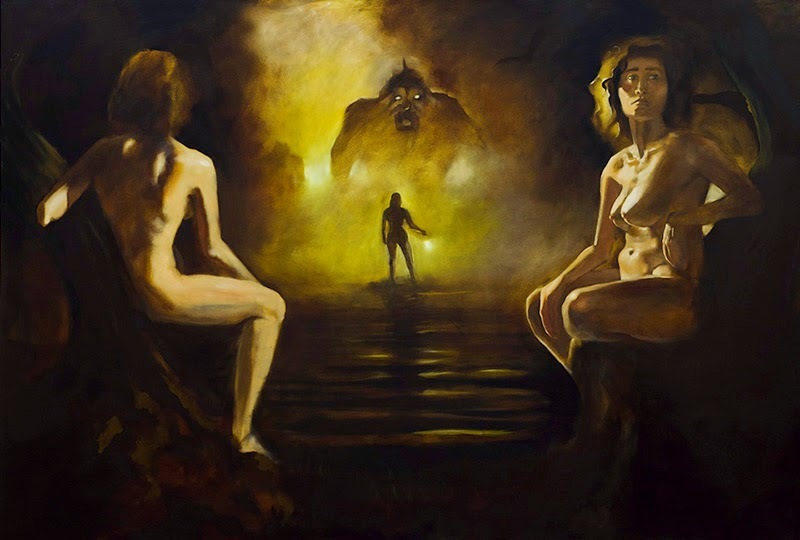 The exhibition will begin with an opening reception on May 7 from 7:30 p.m. to 11:00 p.m. Refreshments will be served, and Prescott will be available to discuss his senior exhibition and experience at USC. Vista Studios was established by Columbia Development Corp. and the South Carolina Arts Commission to anchor development in Columbia’s warehouse district, the Congaree Vista. Since its inception the studios have attracted an exciting mix of established and emerging artists. Vista Studios functions as an artistic hot house that is both protective and demanding. Art is made. It is a creative community that supports artistic leaps, develops professionalism, and adds to the environment a thriving rental gallery space, Gallery 80808, a rare resource for artists of the Midlands.